IPR.VC is a venture investor focused on media content. Our own background and skills as entrepreneurs and investors is from within media. We love stories and content, and we understand media entrepreneurs and especially the industry. IPR.VC seeks and finances ambitious media business entrepreneurs who want to bring their moving image stories to international success. Media and entertainment industry is a $1.9tn growth industry that is going through a major transition. The transition is caused by Internet distribution and changing media consumption habits and it opens up major new opportunities and brings new winners. Media content – TV, film – has become a key differentiator in media and entertainment business leading to growing demand of premium content. For our Funds’ investors, our task is to give access to this new investment area and deliver good profits for them. Fund manager IPR.VC is looking for bold European drama productions for global distribution. IPR.VC invests in the digital media content business in Europe through its two funds. A longstanding problem in the sector is the gulf between content producers and investors: production projects are accustomed to receiving their financing from TV channels and movie companies. Most VC investors invest in B2B technological platforms and software, and the real core of the sector – content – has been underserved. Tanu-Matti Tuominen, a serial entrepreneur in digimedia, creative director and investor in technology, saw this as a market niche. He co-founded a company investing in content and a media-focused fund in autumn 2014 together with media management consultant and company director Timo Argillander and veteran venture investor Jarkko Virtanen. “We challenge entrepreneurs to seek international success and new distribution platforms with their media content. New distribution platforms have widened viewers’ freedom of choice, and the demand for interesting multilingual content and media business have both grown strongly,” says Tuominen. ENTERTAINMENT SERIES AND MOVIES. The second fund, to open in early 2019, will focus on the media production and licensing business from earlier investments. The fund’s target size is MEUR 60-70. Operations will expand, with a partner joining the enlarged team in London and consultants in Berlin, Paris and Copenhagen. The fund’s target size is MEUR 60-70. Its operations will expand. “We’ll focus our activities in Fund II on TV and movie content as well as on new interactive content. Earning the trust of investors is the alpha and omega in the sector fund business, so we’re delighted to have Tesi as a key investor in our new fund. Tesi’s involvement gives our fund a quality guarantee. Other investors trust the screening conducted by Tesi, making it easier for them to join us,” says Argillander. 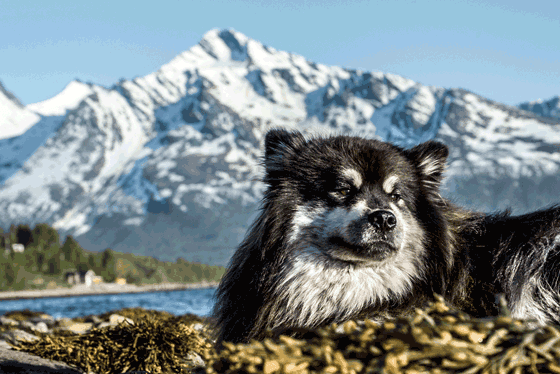 The team behind Love of the Wild, a TV series that was the first northern Finnish production to win Best program of the year, is making history once again. The same team that made Love of the Wild a success, is currently filming its international version Love of the Wild – From the Alps to the Arctic.A major party involved in the funding of the series is from IPR.VC. The series is being filmed, as the title implies, from the Alps all the way to the Arctic areas of Europe, in five different European countries at the same time. The preparations for the series started in September 2017, and filming began in August 2018. The series will be in international distribution in 2020. – Finnish drama has taken major international steps in recent years. Nature related content is also one of our strengths, and Eränkävijät/Love of the Wild has a great opportunity to be the torch bearer in this development, says Director of Creative Content Ville Vilén from YLE. Love of the Wild – From the Alps to the Arctic is the largest undertaking so far for production company NTRNZ media Ltd, strongly headed for the international markets. The consultant for international sales for the series is Jorma Sairanen, the Grand Old Man of the TV Finnish industry. Sairanen realised the potential of Love of the Wild early on. The first two Finnish language seasons of the Golden Venla winner Love of the Wild have been sold to over 30 countries, and the third season premieres October 14th on YLE TV1 channel and YLE Areena streaming service. (London, United Kingdom, June 20, 2018) Leading Finnish media fund IPR.VC has entered an agreement to fund the development of a TV series based on Roberto Ricci’s YA Fantasy book series, The Red Harlequin. The agreement was reached with the author and his agent Lisa Hryniewicz, who have consequently co-founded Pantomimus Media, a limited company that will hold and develop all rights to The Red Harlequin. The agreement will see IPR.VCinvested in the immediate development of a TV series and the long term, multi-platform strategy of the YA fantasy property, which currently encompasses five books (with five more planned over five years), a graphic novel (with a second in production), and several licensees (music, jewellery). IPR.VCis a dynamic venture capital investment company specialised in funding digital media content, for both domestic and international markets. Since its launch in 2015 the company has already amassed an impressive and varied portfolio of content including: Scandinavian crime drama Bordertown,distributed byFederation Entertainment; animated preschool show Gigglebug currently airing on Milkshake, YLE and SFR; and feature film How to Sell a War, directed by Rudolph Herzog, to name a few. The first stage of IPR.VC’sinvestment in The Red Harlequin TV series development has kicked off with newly formed Pantomimus Media, in association with Executive Producer Rick Porras. Porras’ previous credits include: Peter Jackson’s The Lord of the Rings Trilogy (co-producer, and second unit director); Robert Zemeckis’ Contact andForrest Gump; and most recently, Sony London Studio’s upcoming title, Blood & Truth– a high-octane action narrative game, developed exclusively for PlayStation VR (performance capture directing).Porras will draw on his singular experience in ground-breaking, fantasy mega-projects, to oversee both the creative aspects of the TV production as well as its long-term 360 strategy. The Red Harlequin saga features Asheva, an aspirational teenager living in a complex world divided among Chrome Nations, where everyone lives hidden behind a mask. Drawing inspiration from events such as the Arab Spring, Indignados and Occupy Wall Street, The Red Harlequinis a visually stunning and highly engaging allegory on society, religion, politics, morality and revolution – and a mirror of the current youth and populist movements currently shaking the globe. The first five The Red Harlequinbooks are sold on Amazon where they have topped several best-seller lists. French language rights are held by Editions Ada, a specialist in Youth, YA and Adult fiction such as Divergent(Veronica Roth), Merlinseries (T.A. Baron), Fablehaven(Brandon Mull), Beyonders(Brandon Mull), and the Sweepseries (Cate Tiernan). The graphic novel rights are represented by leading European agency VIP Brands (Ivanka Hahnenberger). 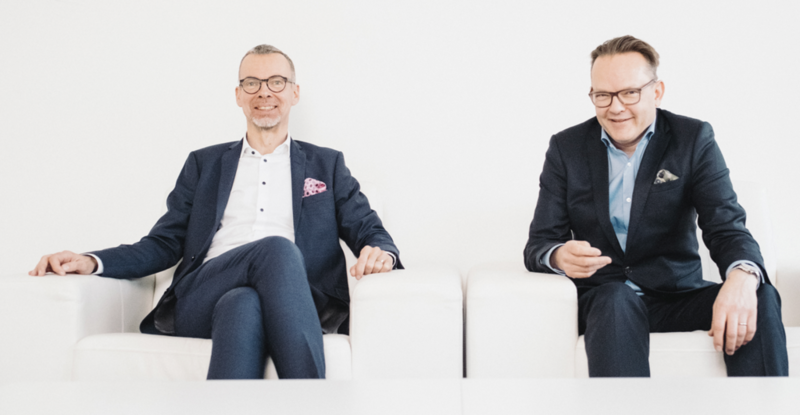 Founded by Timo Argillander, Tanu-Matti Tuominen and Jarkko Virtanen in 2015, IPR.VC is a venture capital investment company specialised in digital media content.We are currently investing through IPR.VC Fund I, a Finnish venture fund of 20M€ total capital from professional institutional investors. IPR.VC is looking for excellent media content creators and products to finance them and to help them to have international business. The funding gives the content creators and developers more influence for their products and productions commercialisation. As a target company segment, IPR.VC serves unlisted, small, early-stage media and entertainment companies that produce replicable media content products, from mobile to big screen, aas well as physical goods for international markets. The Finnish Financial Supervisory Authority (FIN-FSA) has registered IPR.VC Management as Alternative Investment Fund Manager. IPR.VC Management follows Invest Europe Professional Standards and IPEV Valuation Guidelines in investor reporting and valuation of investments. Roberto Ricci is a fiction, short story and screenplay writer, with first-hand experience in dealing with diversity and children. During his long and varied career, he has worked as a journalist, been an officer in the Italian Army and a Senior Executive at Rainbow, a leading international children’s entertainment company. A true citizen of the world, he also attended NYU and the European Business School. He has lived in Tokyo, New York, Rome, Milan, Paris, and London. Even more importantly, Mr. Ricci has children of his own, so he continually re-experiences the world with a fresh perspective, through their eyes.